What Happens at the Nuchal Translucency Screening? You will probably get sick of me saying this at the beginning of every post I make, but I just want you to be aware that every doctor is different and so every appointment might vary from what I experience. These posts just give you an idea of what might happen. 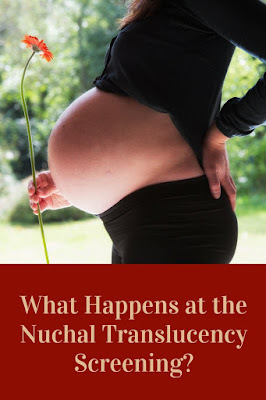 The Nuchal Translucency Screening (NT screening) is an optional ultrasound and blood test that has to be done between 11 and 14 weeks (some cut it off as early as 13 weeks). The purpose of this test is to check for chromosomal abnormalities, though a lot choose to do it just to get the ultrasound. We also chose to do this test mainly for the ultrasound, but also because if something was obviously wrong, we would like to know ahead of time. I had my NT screening at 12 weeks and 3 days. The first thing that happens is you are taken into a room to talk with a genetic counselor, this lasts for about 30 minutes. The counselor started by explaining what the test does and how they can tell if there might be a chromosomal abnormality this early on. For example, a sign of down syndrome might be a flat nose, but she even said this could just be because the baby has a smaller nose and doesn't necessarily mean baby will have down syndrome (It was obvious in the ultrasound that our baby has a pointed nose, so we were pretty relieved to see that!). Then she moved onto our family history, looking for things that could be passed down. Luckily none of us knew anyone in our families with birth defects or chromosomal abnormalities. Other things they look for is cancer or heart attacks at a young age in your family (under age 50), and if cystic fibrosis is present in either family. This lets them know if they should be looking for anything specific during the test. So it's a good idea to ask your parents if they know anything about their family's health history before going to this appointment. For cystic fibrosis, the only way to test is by doing an amniocentesis, which we were not interested in. Cystic fibrosis isn't present in our family at all and we asked her the risks, it was like like a 1 in 25 chance for European descent. I'm half Chinese, and she said it's less for Asian descent, but she didn't know the number off hand but guessed 1 in 50 chance. The only way for cystic fibrosis to happen though would be if both parents were carriers of the disease. Basically, we felt our chances were low and amniocentesis comes with the risk of miscarriage, so we didn't feel it was worth looking into. After the talk, we finally moved into the ultrasound room! This was the part we were really excited about. Our room was really nice, there was a TV mounted on the wall so we could watch the ultrasound! The ultrasound tech had me lie down on your classic hospital bed and tuck a towel in my pants, around my bikini line to prevent my pants from getting the gel on them. I just had to lift my shirt up a bit and we were ready to go. For the ultrasound, they gave us a 45-minute window, but we were done in about 33 minutes. We were worried we would have to come back again since the tech was having a hard time getting baby to lie on its back. Baby just kept moving around. Halfway through she had me get up so I could use the bathroom (I had a really full bladder, so I was relieved!). My husband asked if the baby was measuring on track while I was in the bathroom, and it was so we will be keeping our due date for now. We then tried again, but the baby was now napping, luckily they have short sleep/wake cycles! After moving from side to side a few times and some fake coughing, we finally got baby to lie on its back so she could get good pictures for proper measurements! She was also able to get the heart rate since baby finally decided to lie still, 171, which she said is normal. 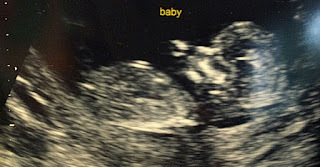 After the ultrasound, I regret not making my husband video the ultrasound because I just want to watch our baby all over again, so I plan to make him do it at the next one! We did get some photos (sonograms) afterward to keep though. I can't stop staring at them! We were then sent to the lab, along with some paperwork, for the blood draw. Basically, you get your blood drawn as usual and they use it to fill in some dots on the paperwork, which will later be tested. I think this can be done differently since the genetic counselor said they might just prick my finger a few times, but when we went there, they actually drew some of my blood from my arm like they did for the pregnancy blood test, and then used a dropper to fill in the dots. The appointment was then over and a few days later I got a call with my results. Our chances for down syndrome is 1 in 2,501, and for trisomy 13 and trisomy 18 they were 1 in 10,000. Basically very low, which is good to hear, so we won't be doing any of the more invasive and expensive tests. This was a really interesting read! 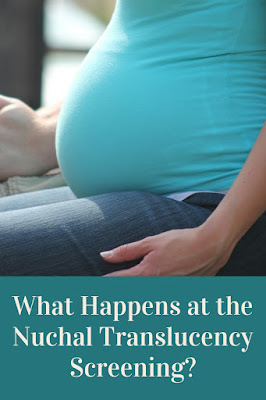 With my two boys, I never had a Nuchal Translucency Screening. So it was pretty cool to read exactly what that is. We did however have multiple ultrasounds with both and it is the most magical thing isn't it?! A video of it would be such a good idea. I am so glad your NT screening came back low risk. My husband I decided to do our test too and we are so glad we did. 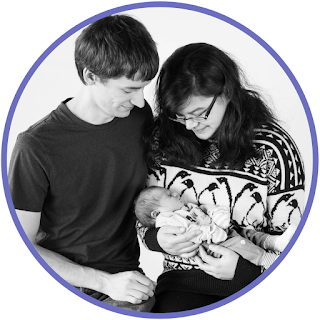 We wanted to be fully prepared with knowledge if our baby did have some sort of genetic mutation. A very factual and well written post! Glad you won't have to have any more evasive tests done - enjoy your pregnancy! We went through this with my son. We have some problems in our family and we wanted to be prepared. Everything turned out fine, but I believe not enough people know they have this option. Yeah, I don't think my OBGYN would have offered it if we hadn't asked about the genetic screening. Only reason we asked was because we heard there was a blood test that could tell gender sooner, but found out insurance usually doesn't cover that one, but will cover the NT screening, so we did the NT screening. 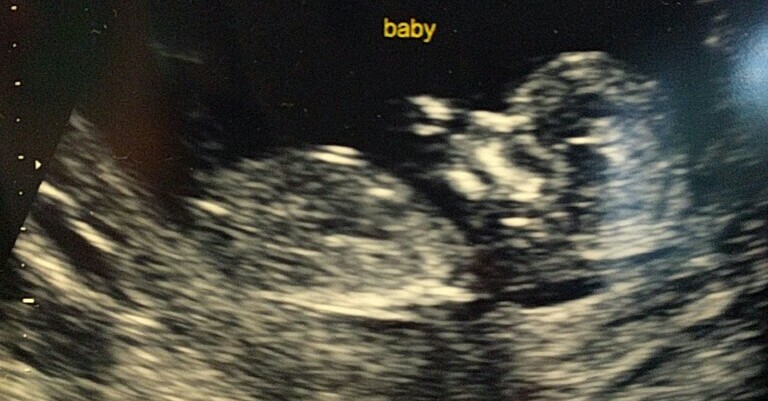 So glad I did because my next ultrasound wasn't until the anatomy scan! and then I did get another ultrasound until I was in labor as they wanted to make sure baby was head down. 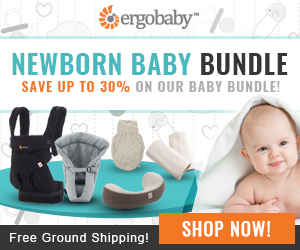 What Happens at the First Prenatal Appointment?